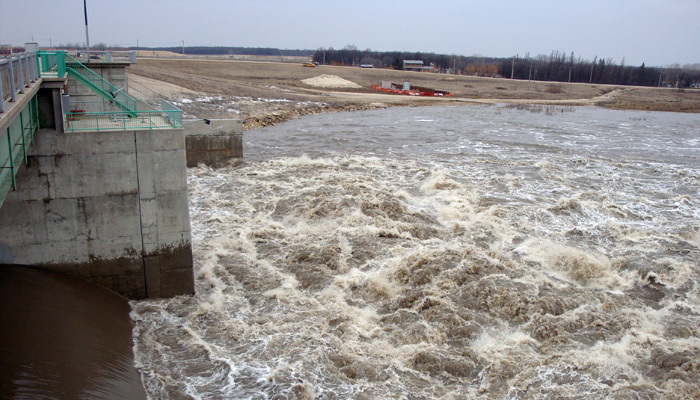 The Hydrologic Forecasting and Water Management Branch of Manitoba Infrastructure reports that the Red River Floodway has been initially activated as of noon on April 14. This measure is not expected to raise upstream water levels as it is an initial gate operation. A further gate operation scheduled for 7 p.m. today will raise the upstream water levels south of the floodway closer to the natural level, in accordance with the operating guidelines. Property owners are reminded to protect wells as high water rolls through the Manitoba portion of the Red River Valley.